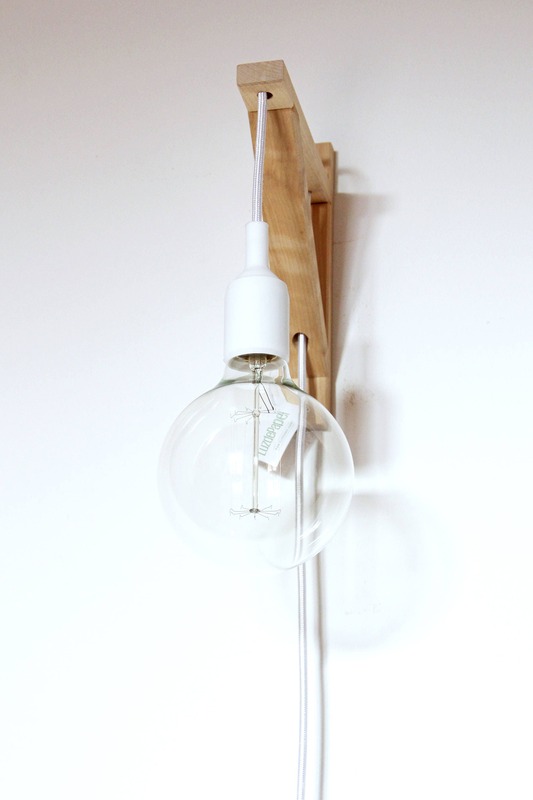 Hang this nice minimal design wall lamp at any room!!! You can combine it with everything, choose the color that you like more. 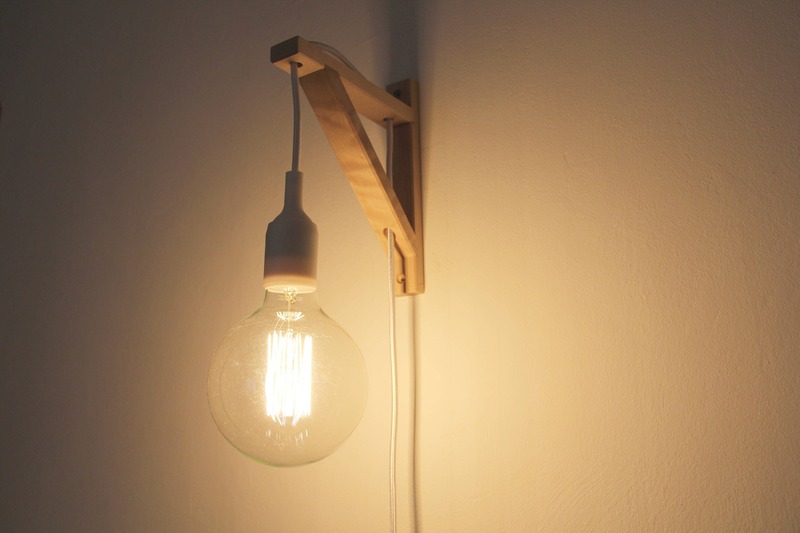 To place it is so easy as to screw the wooden piece to the wall. We have perforated it previously to make it easy. 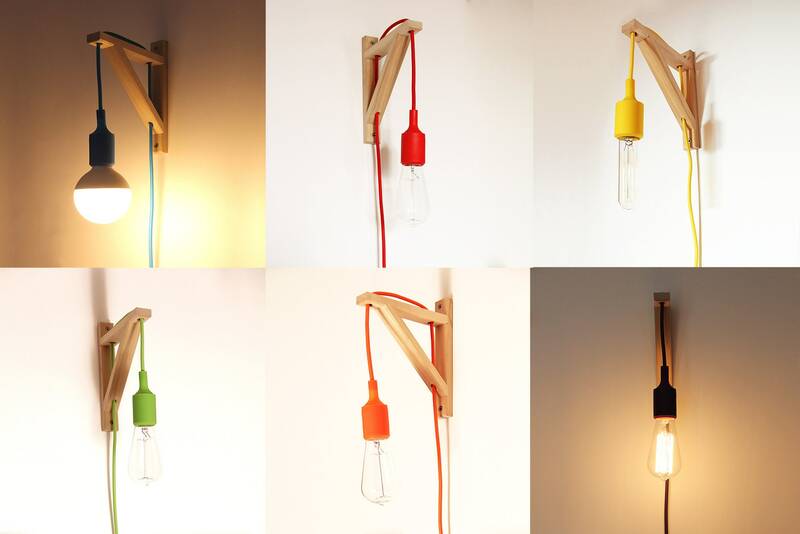 With a bulb of filament of carbon it will remain brilliant! The bulb is not included. You can regulate the height as you wish leaving more or less cord of a side without need of any sujección. Socket E-27 covered with silicone. 60 Watts max. of the old filament bulbs. Any power if you use LED bulb. 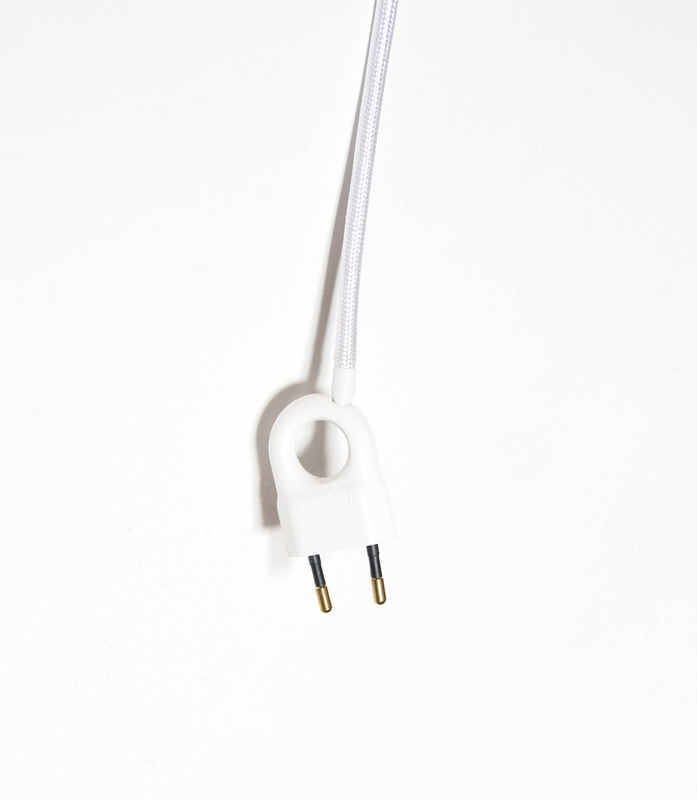 Textile cord, 2 meters long with design ergonomic plug/conector at the end so that you can plug it easy. 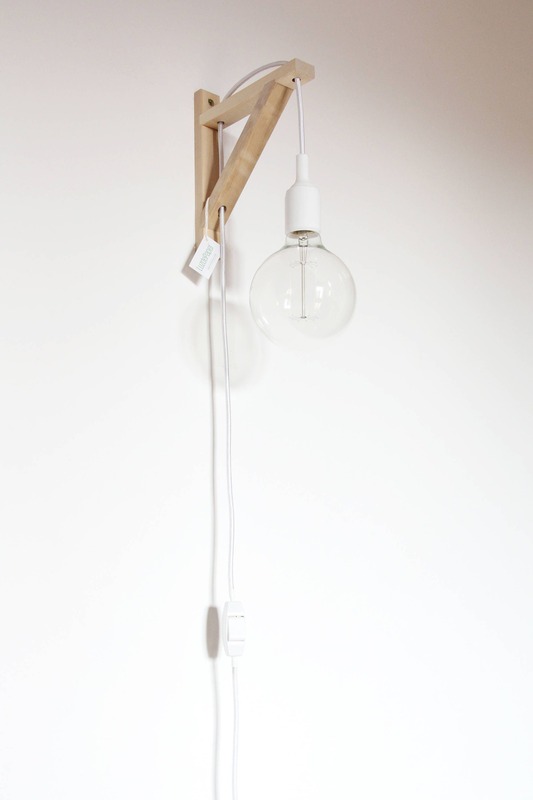 It has a circle shape so you can pull it without making the electric cable suffer. It also has a switch at the medium lenght. Cord, plug and switch are the same colour. Screws not included. (different surfaces/walls/materials needed different kind of subjection. If you have any doubt about what screews and materials use ask in your regular hardware store). Socket (recovering silicone) 10cm of high place for 4,5cm of diameter. 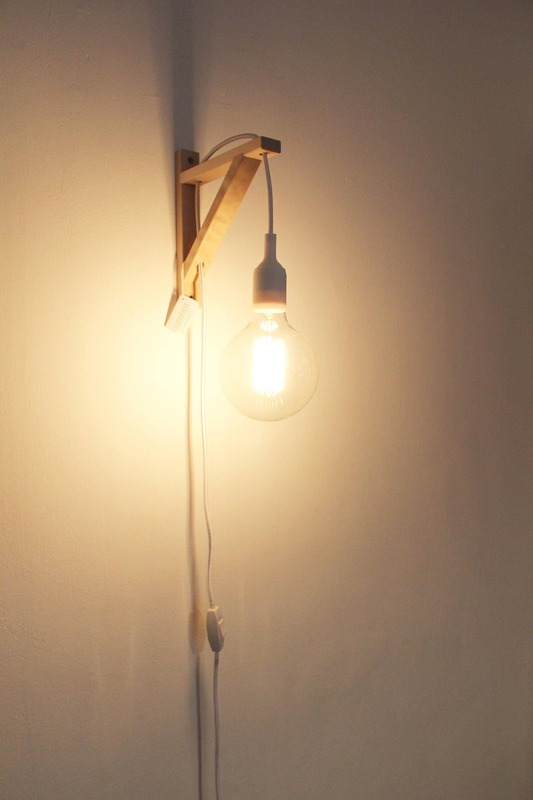 Wooden bracket : horizontal 19 cm x 23 cm vertical x 3 cm wide. Perforations for cord and wall done.